Listeners to the Krautpod will know that yours truly and Julian B flagged up Nneka back in April. Well, the MSMM (Mainstream Music Media) in the UK is catching up with our cousins sausage-side. The latest issue of London’s premier music zine London Tour Dates #51 features an interview with the woman in question. Click on the subscribe icon at the top left to isten to Krautpod #4 feat. 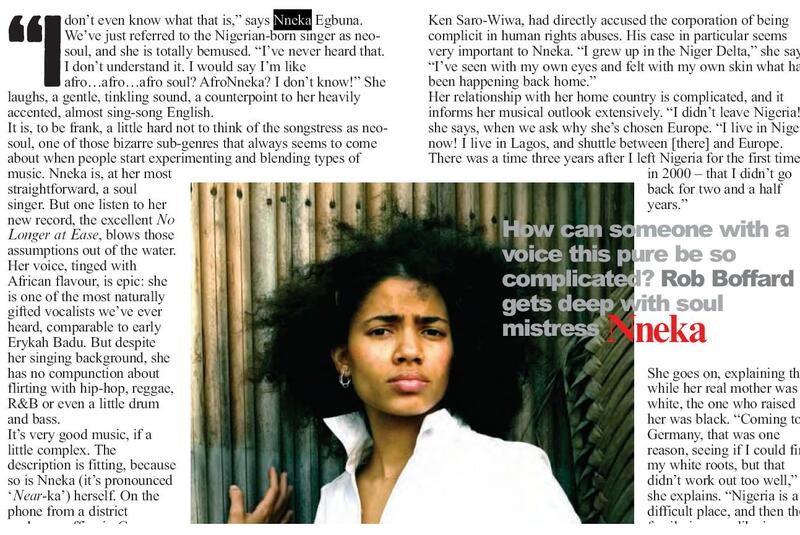 Nneka.